Pharmacy technicians manage the supply of medicines in a community pharmacy and assist pharmacists with advisory services. In hospitals, they can undertake more specialised work such as manufacturing or preparing complex medicines, as well as enforcing medicines management. Pharmacy technicians are part of the pharmacy team, preparing and dispensing medicines. Training to become a pharmacy technician usually takes two years. Pharmacy technicians work as part of healthcare teams in hospitals or community pharmacies. To apply for a course, you need to be working in a pharmacy. 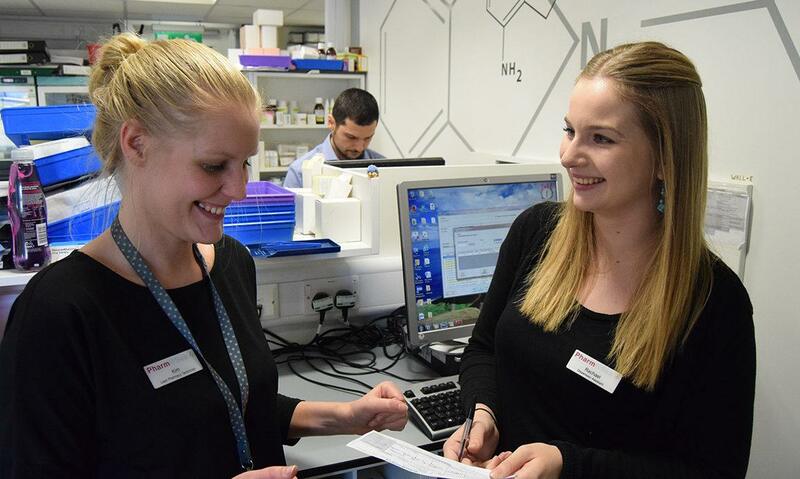 Employers offer jobs for trainee pharmacy technicians (or dispensing assistants). Employers usually ask for at least 4 GCSEs (A-C), including English, maths and science or equivalent qualifications. It will help your application if you can show that you have an understanding of pharmacy and how it benefits patients. In order to practise in Great Britain, pharmacy technicians must be registered with the General Pharmaceutical Council (GPhC) and have satisfied the Council that it meets its detailed requirements. Registered pharmacy technicians have to keep their skills and knowledge up to date with annual continuing professional development (CPD).